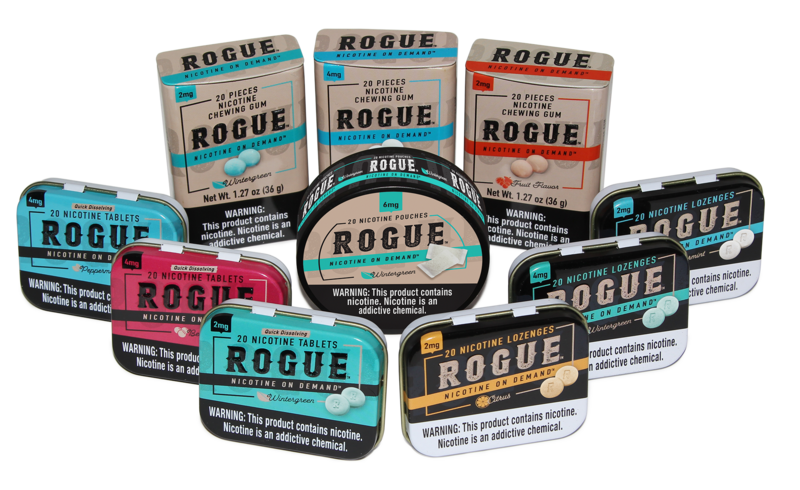 Rogue is 100% tobacco leaf-free nicotine designed to keep you prepared for the times when you can’t accommodate a smoke, vape or chew. Choose from tablets, gums, lozenges or pouches in a variety of flavors and strengths, for the most effective and enjoyable nicotine back-up plan. Rogue is nicotine on demand.